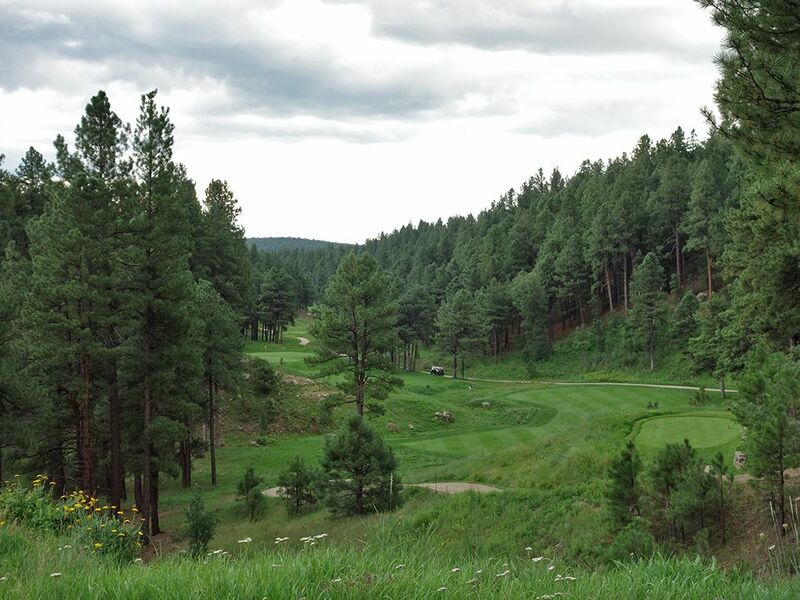 Course Website: Official Website - Visit Forest Highlands Golf Club (Canyon)'s official website by clicking on the link provided. 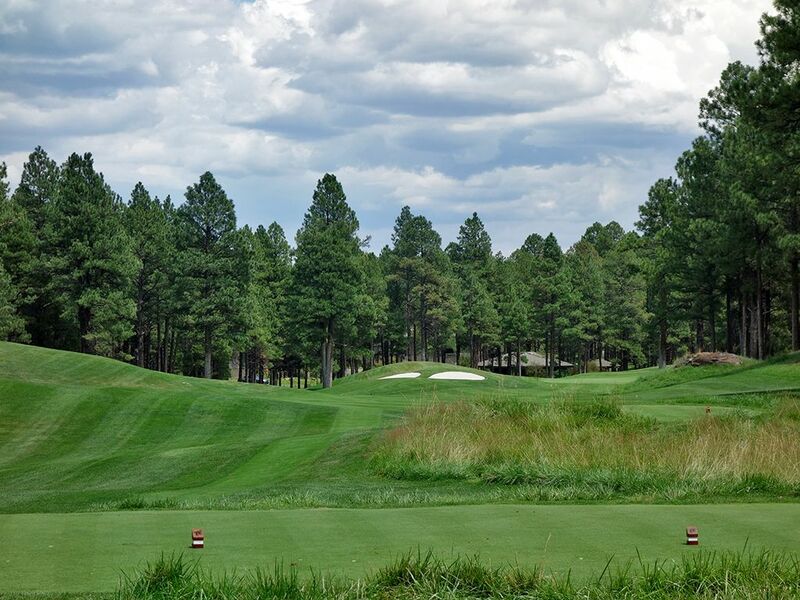 Accolades: Ranked 4th in Arizona on Golf Course Gurus' Best in State list. 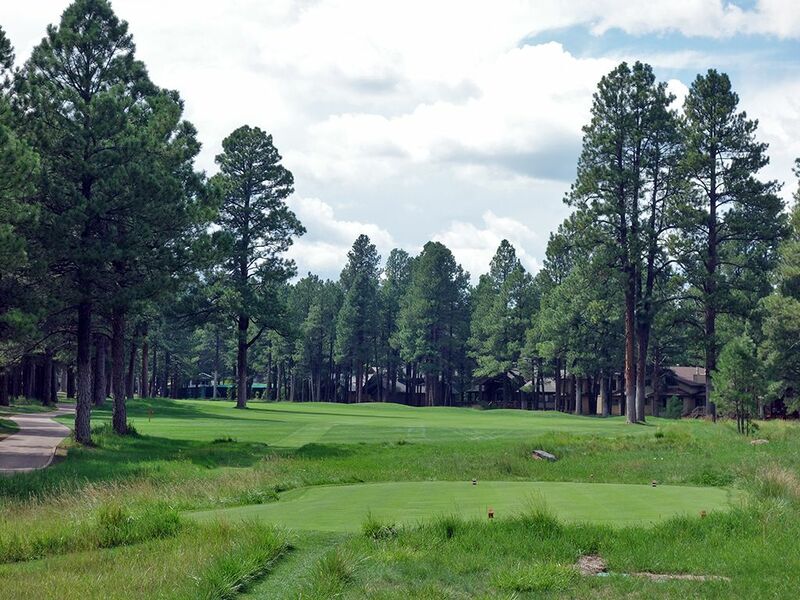 What to Expect: Designed by the former partnership duo of Tom Weiskopf and Jay Morrish, the Canyons course at Forest Highlands is what put Flagstaff on the golfing map. 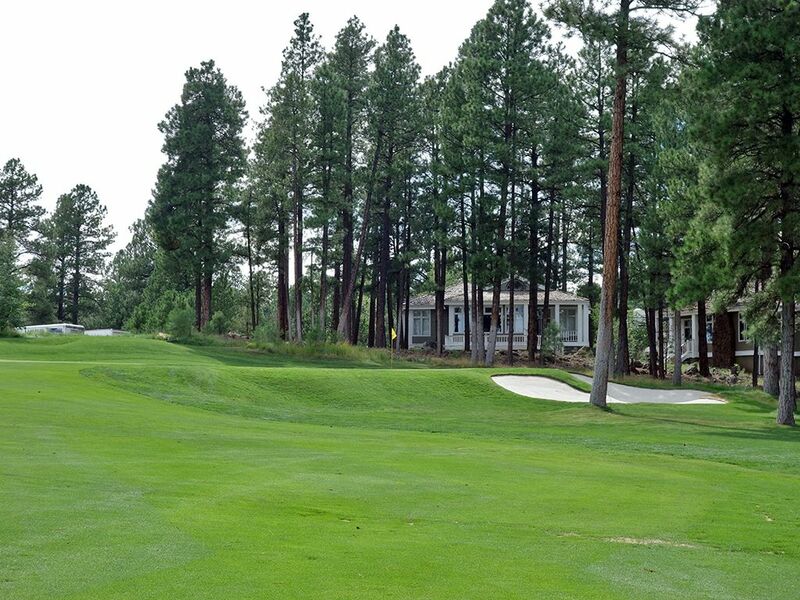 Located just south of the city’s center near I-17, the course is part of a residential development like many of the courses that were built in the 1980s. As such, you will see some houses outside the fairways along the way but they don’t detract much from the overall experience since they are tucked mostly out of play with trees helping shield them. 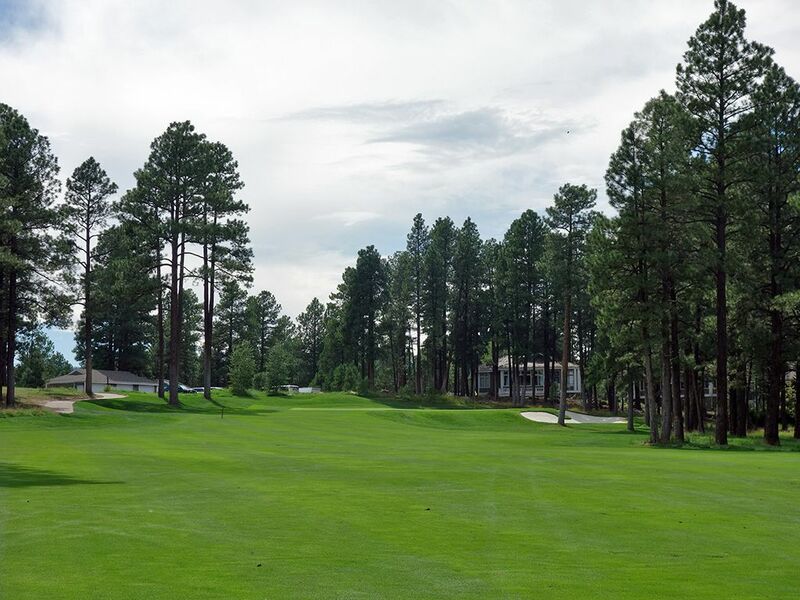 Huge pine trees, reminiscent of what you’d find in the Tahoe regions, line the fairways and act as the occasional obstacle in the middle of the fairway. The course is kept in excellent shape with greens fast enough to test the best of putters and short game assassins. The course starts off gently with some easy holes which is great for guys like me that almost always jump out of the car and roll straight to the first tee, but maybe the best thing about the course is its variety. The par fives all present great risk/reward options, the par 3s and 4s offer a nice mix of lengths and shapes, and the back nine features three holes of each par. The front nine has some nice holes but the Canyon course at Forest Highlands really kicks things up at the 8th hole when the course dives down into some great terrain with the signature 9th hole being an absolute jaw dropper. The final six or seven holes provide an excellent finish with impressive variety and would be a blast to compete on in a match play scenario. 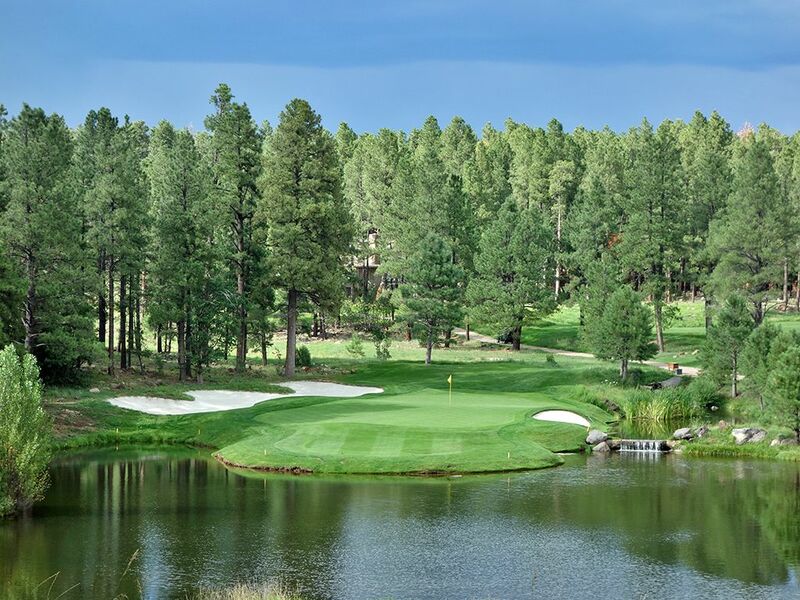 The course was formerly ranked in national magazine top 100 lists and many would argue that it is still the best course in Arizona. While some may argue that Scottsdale has better courses, no one will argue that the courses are similar in each region. 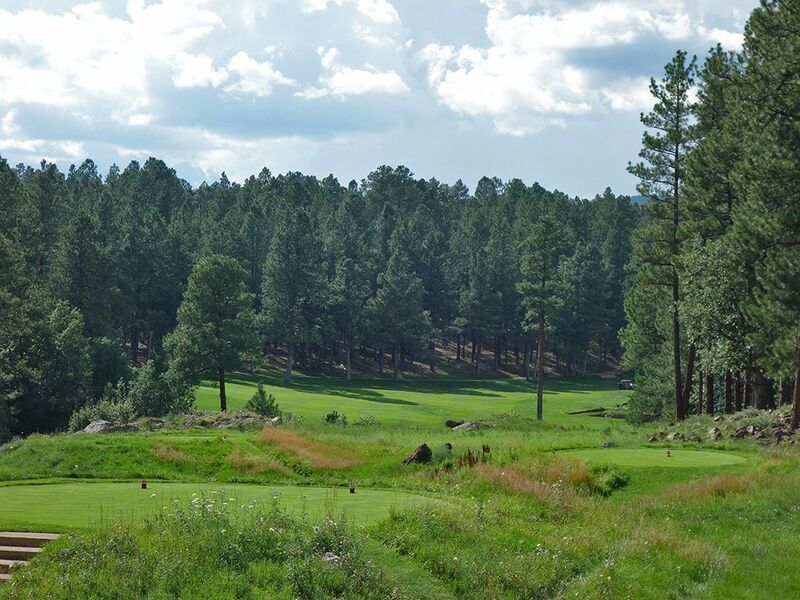 Flagstaff offers a retreat from the desert with trees, mountains, and 7,000 feet of elevation while Scottsdale is flatter, sand based, and dotted with cacti. 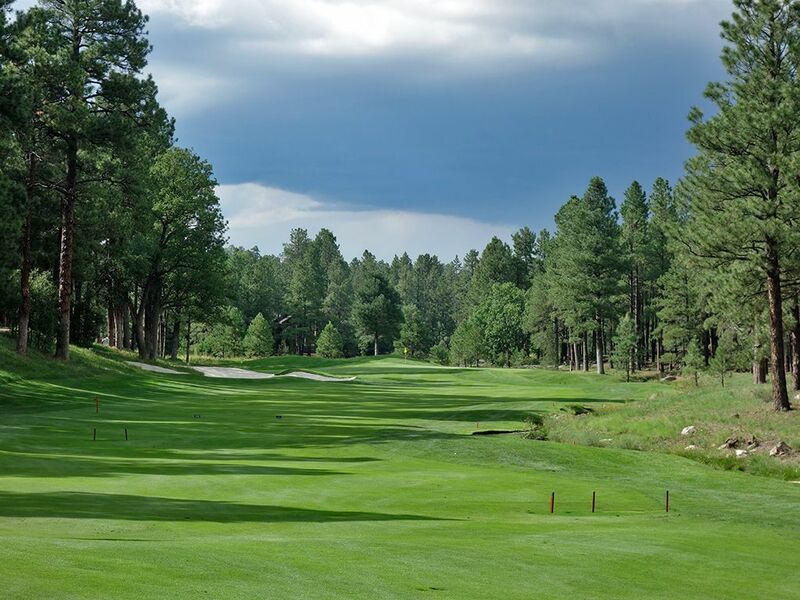 While Scottsdale is famous for its year round golf, particularly as a winter destination, Forest Highlands is going to be open from mid-May until the first of November generally. 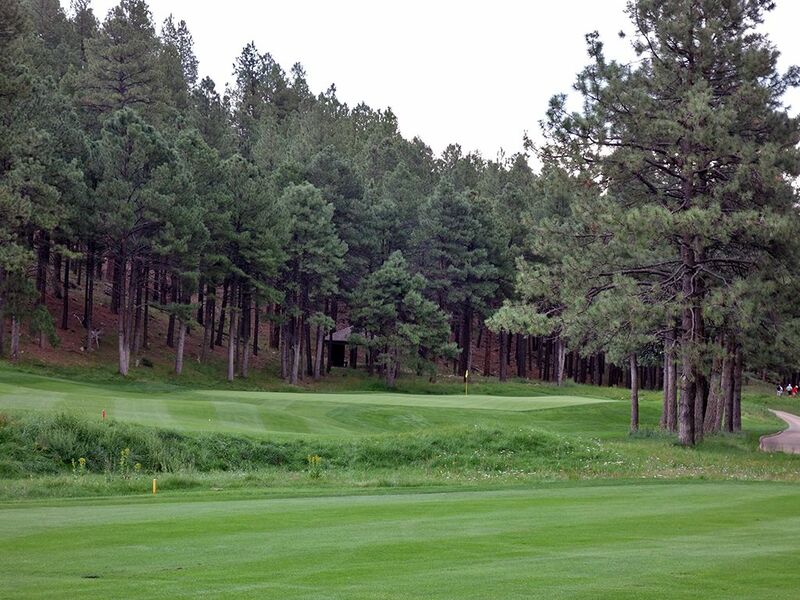 In the end, the Canyon course is one of Weiskopf and Morrish’s best tracks and the best offering in Northern Arizona. 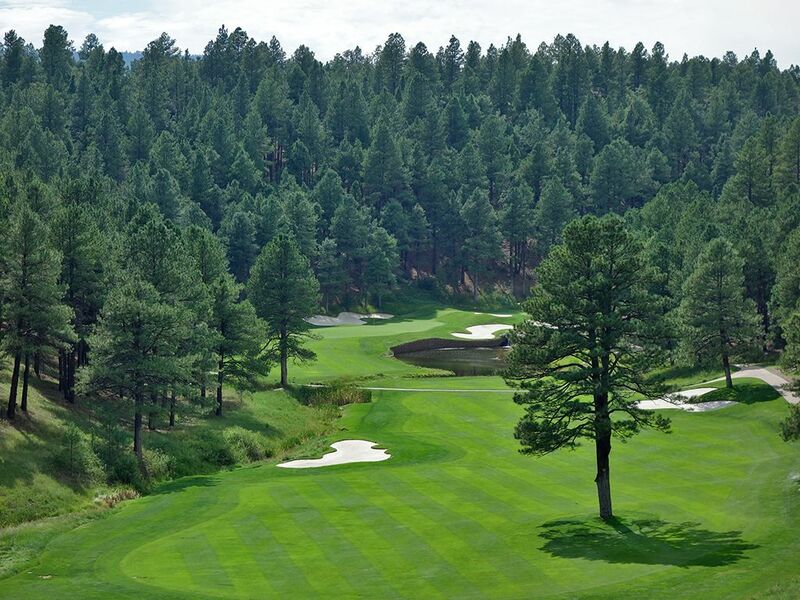 Signature Hole: 9th Hole – 466 Yard Par 4 – Not only is this the signature hole at Forest Highlands, it is arguably the signature hole for the state of Arizona. The elevated tee offers an impressive view of the area and an inspiring look down to the fairway that sits 75 feet below. A lone tree on the right third of the fairway pulls your eye in while a bunker left of the fairway is ready to catch your ball if you veer too far away from the tree. The tree is only 200 yards from the back tee so the ideal line is to bomb it over the top without reaching the double hazard, tree in a bunker, located 300 yards away. The tee shot plays to a an eggplant shaped green that gets more and more dangerous to attack the further back and to the right the flag is. The final 100 yards of the hole is flanked on the right by a pond which continues up to the putting surface before giving way to a bunker complex. The safest line is up the left side with a baby fade into the green. On a side note, this is a double green with the 18th hole that features a rise separating the two putting surfaces. 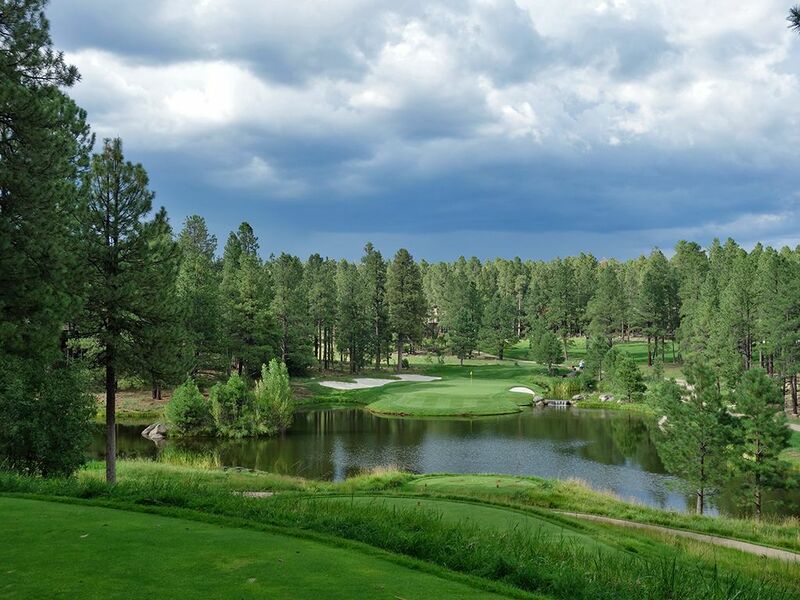 This is just a flat out gorgeous and memorable hole that is a hoot to play. Best Par 3: 14th Hole – 165 Yards – A stunning challenge greets you at the 14th hole where wind conditions can play a huge factor. The shortest par three on the course requires 130 yards of carry to clear the pond that establishes the foreground which continues up the right side of the green as a constant warning that your concentration can't lapse if you are going to be successful. The green is twice as long as it is wide so accuracy is at a premium here and a large bunker awaits players that go long and left to the only "safe" area around the putting surface. The final one-shotter on the course, the 14th is a beautiful test and a great match play hole that will reward the player that can block out the scenery and trouble long enough to throw a dart at the flag. 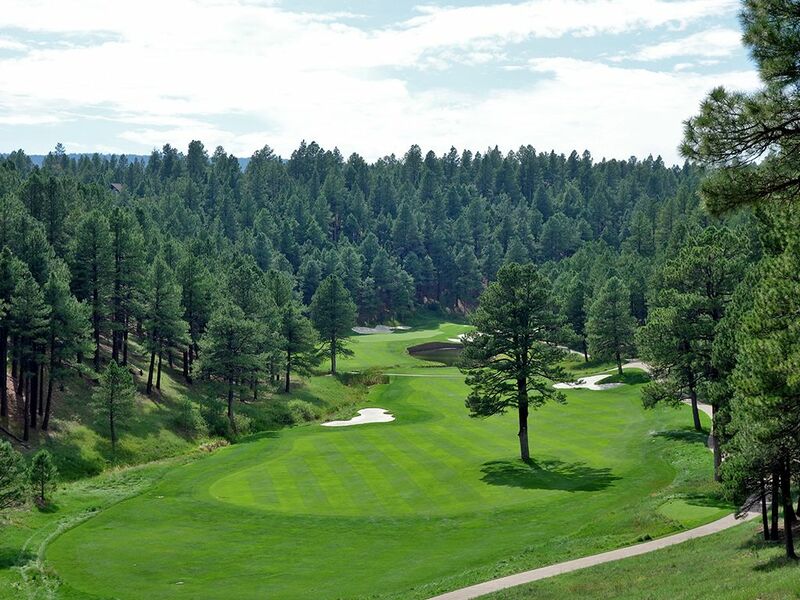 Best Par 4: 17th Hole – 387 Yards – 60 feet in elevation change awaits on the option laden 17th hole that instantly became one of my favorites on the property. The hole features two fairways with the one on the right being the safe play as long as you don't hit the ball longer than 250 yards. A well executed layup should leave you with a low iron or wedge in your hand to attach the elevated green with. The more bold, and exciting, play is to take a rip at the green and do your best Top Gun impersonation by avoiding the various trees in play that are ready to swat down your effort to jet in near the putting surface. 330 yards will get you to the front edge of the green but anything over 250 yards on the correct line will get you to the second fairway and open up the ideal angle to attack the flag with. Bombing it towards the fairway on the left will be blind from the back tee so you have to use some faith that going over the tree and rocky hill on that side of the hole will end up in safety as long as you don't flare it right and fall in the garbage that separates the two fairways. This hole is just fun with the options and scoring scenarios being an ideal design late in a match play competition. Best Par 5: 13th Hole – 542 Yards – The back nine features three par 3s, three 4s, and three 5s with the 13th being the first of the three-shotters to contend with. A creek runs the entire right side of the hole and even pools up to a small pond near the driving zone for longer hitters, so the play is clearly to stay left where the slope of the fairway will work you down to the right where the hole goes anyway. For the final 150 yards of the hole the fairway tightens to about 20 yards and demands accuracy which is a fair test considering how doable this hole is to reach in two. If you layup it is best to stay short of the large bunker on the left side 50 yards short of the front edge of the green, but if you are going for it in two then flying the bunker is the ideal line to take the water out of play and open up the most generous opening to the putting surface. There is just enough risk/reward to contend with to make this hole plenty interesting each time around at Forest Highlands. Birdie Time: 2nd Hole – 337 Yard Par 4 – The Canyon course at Forest Highlands starts off gently with no hole more gentle than the 2nd. At just 337 yards long ballers can consider going for the green with the only obstacle to consider being the bunker short and left of the putting surface. A tee shot that stays just inside the tree line is the ideal line to take and sets up the optimal angle into the green whether you are laying up or letting the big dog eat. The Mickey Mouse head shaped green has plenty of pin positions worthy of being aggressive attacking, so go out and card a birdie early in your round because you'll need the insurance later. Bogey Beware: 7th Hole – 476 Yard Par 4 – The 7th plays westerly straight towards the clubhouse before the routing takes a plunge off of the flat ground and into the most interesting part of the course. The longest par four on the course, this two-shotter requires accuracy and length to conquer as well as some strategy. The tee shot affords 280 yards of depth to hit to until the fairway turns left and follows the tree line uphill to the raised green site. If you can execute a draw here it will be really helpful as you work it around the lone tree on the left side of the fairway, but the most important thing is to still be in the short grass no matter what ball flight you take to get there. The approach shot plays uphill to a green that features a steep face in the front and a deep bunker on the right. The best play is to the left third of the green that features a flatter opening to utilize and then you can take your chances two putting to the pin location. You have to execute two great shots here to find the green in regulation otherwise the sloping putting surface will likely prevent a successful up and down.